EVERYTHING’S BIGGER IN TEXAS — including the barbecue scene. But some of the state’s best still flies under the radar. Enter the Great Coastal Texas Barbecue Trail, which highlights eight amazing BBQ joints in and around the city of Victoria. Here’s a step-by-step guide to enjoying the best Texas barbecue you’ve never heard of. 1. Pretend this ain’t your first rodeo. A few things you should know before setting out on the trail: Don’t waste time getting gussied up. These joints are real casual, and the cuisine is real messy. Expect picnic tables, butcher paper, and red Solo cups. Skip the fork and knife if you ordered a sandwich, tacos, or ribs — these are hands-only foods. Get in line at opening if you have your heart set on something specific. Pitmasters spend hours preparing these meats, and once they’re sold out of that slow-cooked deliciousness, you’ll have to wait till tomorrow. Also, don’t dally. When the food is gone, so are the owners. 2. Make a pit stop at Aunt Jo’s BBQ. You can’t miss the giant hog statue on the side of Highway 77. It’s a beacon for hungry truck drivers who come from across the country to fill up on the Trucker’s Special — a big plate of sausage, rib, and thick-cut, mesquite-smoked brisket. There’s a lot of history on this land, which has been owned by the pioneering Joshua family since the late 1800s. A portrait of Great Aunt Jo hangs inside the former-general-store-turned-restaurant that sees the likes of old ranching families, Louisiana Cajuns, and weary travelers running the roads from Houston to the coast. Its doors are open 11am Thursday to Sunday. Make sure to save room for some of Aunt Jo’s prized peach cobbler. 3. Taste the legacy at Quality Packers Smokehouse. Quality Packers Smokehouse has 40 years of experience in the business of cooking up brisket, ribs, sausage, and chicken. The Limon family’s style involves an original 1960s Herbert Oyler rotisserie wood-burning pit that uses mesquite, pecan, and oak wood smoke to flavor the meat. The owners play their cards close to their chests; they’re not sharing the ingredients of their unique spice rub. But they’re as welcoming as anything and eager to dish out tasty brisket, German potato salad, and desserts Monday to Saturday. 4. Head west to McMillan’s BBQ. It’s all about the brisket at McMillan’s. Owner Louis McMillan, who’s been grilling for 45 years, is serious about his “low and slow” technique and preference for mild wood for smoking. It’s this method that has made his barbecue stand out to the likes of the San Antonio Spurs, Troy Aikman, both Presidents Bush, and President Obama. McMillan’s is on Highway 59, 20 minutes west of Victoria. The restaurant has an indoor seating area, so you can head there rain or shine. 5. Check out Maggie’s Chicken Salad at the Fire Pit. The Fire Pit is a labor of love started in the home of former meat-processing plant owner Robert Harris. Driven by a passion for cooking, Harris opened the Fire Pit with the help of friend Brenda Janecek. She brought with her 25 years of experience and delicious recipes from the now-closed Maggie’s Meat Market. Today their food truck can be found at North Laurent Street in Victoria. Get there before 3pm for Maggie’s Chicken Salad sandwich or the Brisket & Rib Plate, then order a frozen King Ranch casserole for later. 6. Take a road trip to Buffalo Creek Barbecue. A 35-minute drive from Victoria, Buffalo Creek is worth the trip. The big red food truck is an ode to Texas, bearing the state flag and mounted longhorns. Pitmaster John Bonelli may be a photographer by trade, but he always dreamed of manning the grills of a barbecue joint. Since March 2015 he’s run the show at Buffalo Creek, which is open Wednesday to Saturday from 11am to 3pm, though he often sells out earlier. When asked if he relies on any particular ingredients, Bonelli responded, “All it takes to make great barbecue is meat, fire, and good smoke. The real secret is in knowing when the meat is done.” Bonelli uses a self-basting rotisserie pit to smoke the meat for anywhere from eight to 10 hours. Sides are made from scratch, including dill potato salad, coleslaw, and beans. If you’re up for a dare, take on Bonelli’s “Texas-sized challenge” — the Pitmaster. This masterpiece is a sandwich piled sky-high with 1.5 pounds of beef, pork, sausage, and coleslaw. 7. Good luck choosing just two sides at Uncle Mutt’s Bar-B-Q. Just off North Navarro Street in Victoria is Uncle Mutt’s, a fourth-generation eatery selling brisket, sausage, chicken, turkey, pork ribs, and ham seven days a week till sundown. Their most famous dish? It’s a toss-up between Uncle Mutt’s Plate of three meats and two sides, and the Man Size, which comes with two meats and sides. Owner Katina Arterberry prepares a surplus of accompaniments — many of which you won’t find elsewhere — like fried okra, fried corn, steamed cabbage, and the Almost World Famous Uncle Mutt’s Rice. Everything is served cafeteria-style, which means you can drool over all the options (figuratively, of course) before making your choice. 8. Find more than brisket at KB’s BBQ. Father-son team Kevin and Cullen Broll have made a name for themselves at KB’s BBQ by adding Southern comfort and Tex-Mex flair to their barbecue. And the food’s so good that KB’s was recently featured in an episode of street-food king Matt Basile’s Rebel Without a Kitchen. The Brolls are always trying something new: avocado smothered in pork carnitas, smoked meatloaf, beef tips in gravy… However, the philosophy for KB’s meats is to “keep it fresh and keep it simple.” Family favorites are the 14oz pit-smoked burgers and 16oz ribeyes seared over mesquite embers. KB’s main location on Villafranca Road and their two trucks (one at the Homestead Store by Hobby Lobby, the other on Houston Highway) are open for lunch Monday to Friday. The Villafranca location is also open for lunch on Saturday and offers food and live music on Thursdays from 5 to 10pm. It’s BYOB and cover free. 9. Stay for Mumphord’s Place BBQ. Ricky Mumphord grew up going to family cookouts and learning the ropes from his father and uncle. He cooks with direct fire, instead of smoke, just like his family did. Go for the four-meat plate to have a bit of everything (the turkey breast is famous) and pick the jazzed-up green beans as a side. Dine in Tuesday to Saturday from 11am to 7pm; Mumphord’s closes an hour later on Friday and an hour earlier Saturday. Stop in on Wednesdays for the pork chop special. 10. 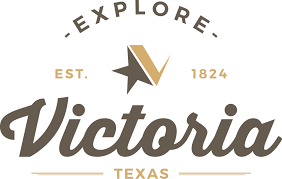 Stop by the Explore Victoria Visitor Center. Before you leave town, bring your receipts from at least three of the joints above to the visitor center and get a free Great Coastal Texas Barbecue Trail t-shirt. Though why would you stop at only three? This post is proudly produced in partnership with Explore Victoria.